Violinist Marat Bisengalie presents two very special innovations for musicians: the EPSON glasses with score projection within the lens and the 360° Oculus view for performing violin concertos with a virtual orchestra. Mr Bisengaliev will also perform live music by Elgar and Wieniawski using the EPSON glasses. Born in Kazakhstan in the Soviet Union in 1962 and making a startling début at the age of nine, Marat Bisengaliev later studied at the Tchaikovsky Conservatory in Moscow with two of the legendary names in violin tuition, Boris Belinki and Valery Klimov. He was a prizewinner in 1988 at the Leipzig International Bach Competition, and in 1991 won first prize at the International Nicanor Zabaleta Competition in Spain, also receiving the special virtuoso prize for the most outstanding performance of the competition. In 2000, he received the Independent Platinum Tarlan Award and the Government Medal of Honour in Kazakhstan. A major recording contract was signed in 1991 with Naxos and Marco Polo for a series of recordings that includes Bisengaliev’s virtuoso recital repertoire and many major concertos. His recording of the Mendelssohn concertos with the Northern Sinfonia became Gramophone Critic’s Choice of the year in 1998. Fanfare nominated his recording of the concerto by the British composer Havergal Brian with the BBC Scottish Symphony Orchestra. Other recordings include the rediscovered works for violin by Elgar, Re-discovered works for violin, Vol. 1 (Black Box) was nominated for the 1999 Gramophone Award and the second volume was named by Classic FM as one of the “Top 5 Elgar recordings”. Sony BMG awarded him a Gold Disc for his recording Tlep by Karl Jenkins. In 1989 Marat Bisengaliev founded the Kazakh Chamber Orchestra, with which he toured as a soloist throughout Europe. In 1991 he settled in England and has since performed with most of the major orchestras, making his English concerto début playing the Beethoven concerto with the Royal Philharmonic Orchestra. His performances are frequently broadcast on radio and television throughout the world. Recent tours have taken him to Hong Kong, the United States, Kazakhstan, Poland, Germany, India, Italy, Ukraine, New Zealand and France including televised concerts. He has given concerts in over 25 countries with leading orchestras and in major concert halls. In 2003 Marat Bisengaliev founded the Uralsk Philharmonic. In addition to his busy career as a virtuoso violinist, he is the founder and chairman of the Uralsk International Violin Competition. Internationally-renowned violinist Marat Bisengaliev is the founding Music Director of the Symphony Orchestra of India. Described by The Times as a "brilliant violin soloist", Marat Bisengaliev has also been designated "a latter-day Ysaÿe" by the American Journal Fanfare. The New York Times says that "he has taken to heart a style of playing that was a hallmark of violin virtuosity early in the century”. Marat has performed with orchestras around the globe including the English Chamber Orchestra, BBC Scottish, Philharmonia, Polish Radio National Symphony Orchestra, Warsaw Philharmonic, Moscow Symphony Orchestra, National Symphony Orchestra of Ukraine, BBC Ulster, Beijing Symphony Orchestra, Moscow Radio Symphony Orchestra, and Mexico Symphony Orchestra, amongst others, playing in venues including Carnegie Hall, Lincoln Center, the Kennedy Center, Royal Albert Hall, Barbican, Wigmore Hall, Bridgewater Hall, and the Forbidden City Concert Hall. Mr Bisengaliev is artistic director of Sinphony of India and hals also founded two orchestras in his home country. In 2003, he founded the West Kazakhstan Philharmonic Orchestra. Their first CD—Karl Jenkins’ Requiem—was released on EMI and reached No. 1 in the classical sales charts and was No. 1 in Hall of Fame in Classic FM magazine. In 2012, he founded the Almaty Symphony Orchestra. Highlights for the 2014-2015 season include concerts in New Zealand, China, USA, Hungary, Kazakhstan, Brazil, Mexico, India, Italy, France, Russia and the UK. 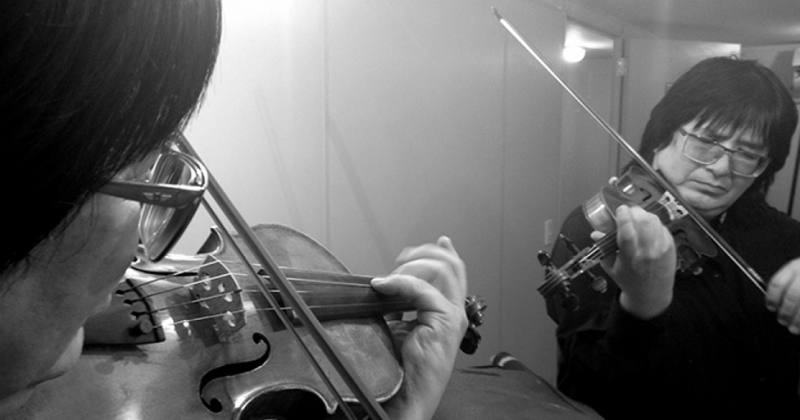 An intensive recording schedule includes the album Virtuoso Violin and the Suite Nos. 1 & 2 - Shakarym & Abai, written by Karl Jenkins especially for Marat Bisengaliev.